Thanks for joining us again On the Objective as your host Steven Menking welcomes back researcher, economist, and author Chuck Coppes to discuss the latest happenings in the world of global finance. Gold was officially added to the list of Tier 1 capital for banks at the beginning of this month, and it looks like the Fed has backed off of its plan to continue increasing interest rates. The struggle for control of the monetary system continues to be waged both in public and behind closed doors, and we must remain informed and prepared if we are going to be able to make proper decisions when the day of reckoning arrives. Thanks for joining us On the Objective! Welcome back to The Amateur Society for a discussion about the fire at the Notre Dame cathedral in Paris. This iconic structure has stood for almost a millennium, and the footage of the roof burning and the spire collapsing was shocking. Given that large portions of the building are still intact, what does this tell us about the critical essence of such a place? In moments like these we should ask additional questions. Why do we immediately perceive Notre Dame as significant? What would different worldviews say about the significance of the structure? How can we be more thoughtful in general instead of only being forced to reflect by dramatic events if at all? Thanks again for joining us on The Amateur Society! Podcast: SER 183 – Calvary Perspectives – What Does It Mean To Be A Disciple Of Jesus Christ? Lots of Christians talk about discipleship. Churches focus their attention on making disciples. However, if Christians and the churches they attend really understood what being a disciple means and what making disciples really looks like, why is there such lack of courage and boldness in modern American Christians and from the churches they attend today? Paul and Adam join me for another episode of Calvary Perspectives on SER. 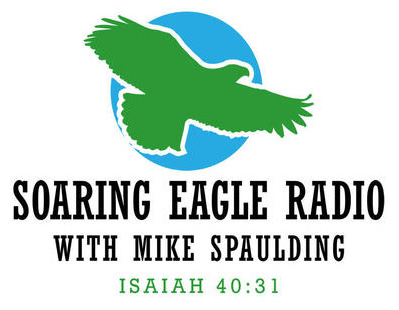 Join your host Steven Menking as he welcomes back Sam Johnston of The Sharpening Report to discuss dealing with the divisiveness we encounter in our society in this generation. Whether inside the body of Christ or in the overall fracas of social media, the polarization of language, platforms, and argument have left many of us in a situation where we would rather disengage from the conversation. Unfortunately, this mentality can extend into our most meaningful personal relationships. This conversation focuses on the importance of using language properly and various techniques that can help break down the barriers that have been built to prevent us from healthy dialogue. Thanks again for joining us On the Objective! Welcome back to The Amateur Society for a discussion about the importance of aligning our priorities. How do we balance the different aspects of decisions that we have to make? How important is having a defined set of priorities? Whether in careers or personal relationships, we all must make an effort to examine what our decisions reveal about our priorities. Incremental improvement is well worth the effort. Thanks again for joining us on The Amateur Society!